Whoa at last after months of deliberation Warner bros. had finally picked the actor that will play DC's legendary superhero Superman and his alter ego Clark Kent. 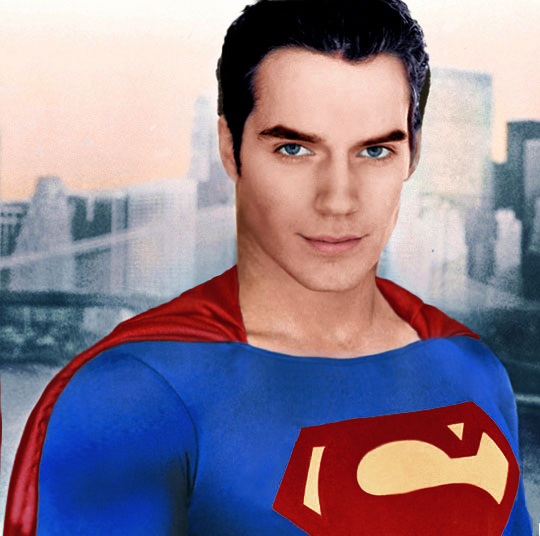 And he is none other than Henry Cavil aka Charles Brandon of the TV Series the Tudors. Physically he have the physique and face rightful for the Man of Steel. Now, I'm not really familiar with The Tudors so I have no idea how Cavil do his job. But certainly I trust Zack Snyder and Chris Nolan for picking him for the role. Cavill is a great choice… his work is The Tudors was substantial, even though it wasn’t scene-stealing. You can see potential, and he has the masculinity and ‘unknown’ quality that you need for Superman. Good to hear that this is getting a lot of good feedbacks. Snyder and Nolan do really know what is the best for the movie.